This item has been replaced with JEF-00701. 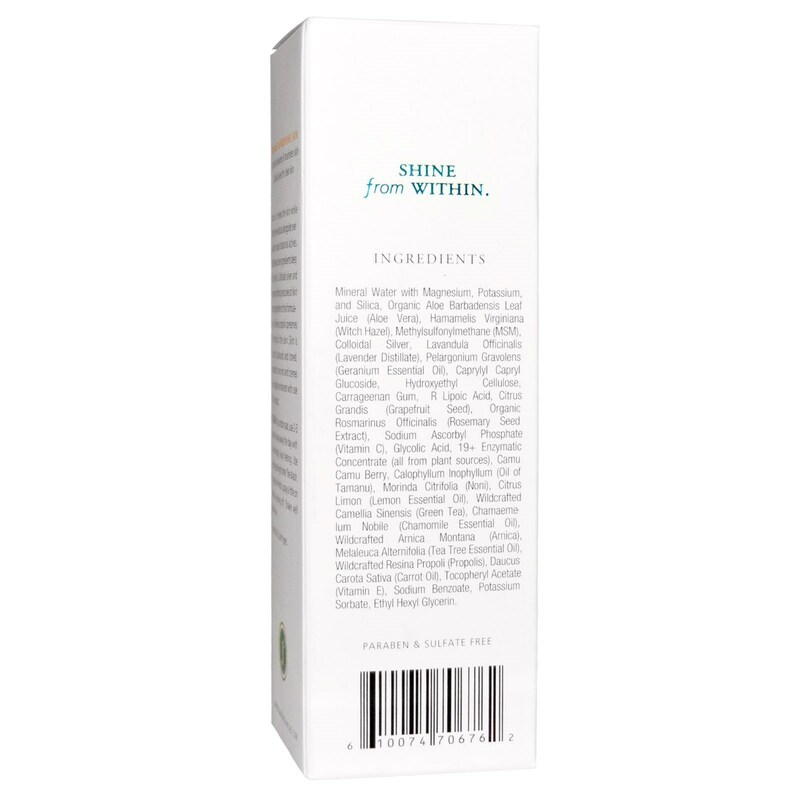 Vitamin C renews the skin while fighting free radicals alongside over a dozen unique botanical actives. MSM drives active ingredients deep into the skin. Colloidal silver and geranium oil bring centuries of skin restoring properties to this formulation, while bee propolis preserves the integrity of the skin. Skin is nourished, balanced and toned. 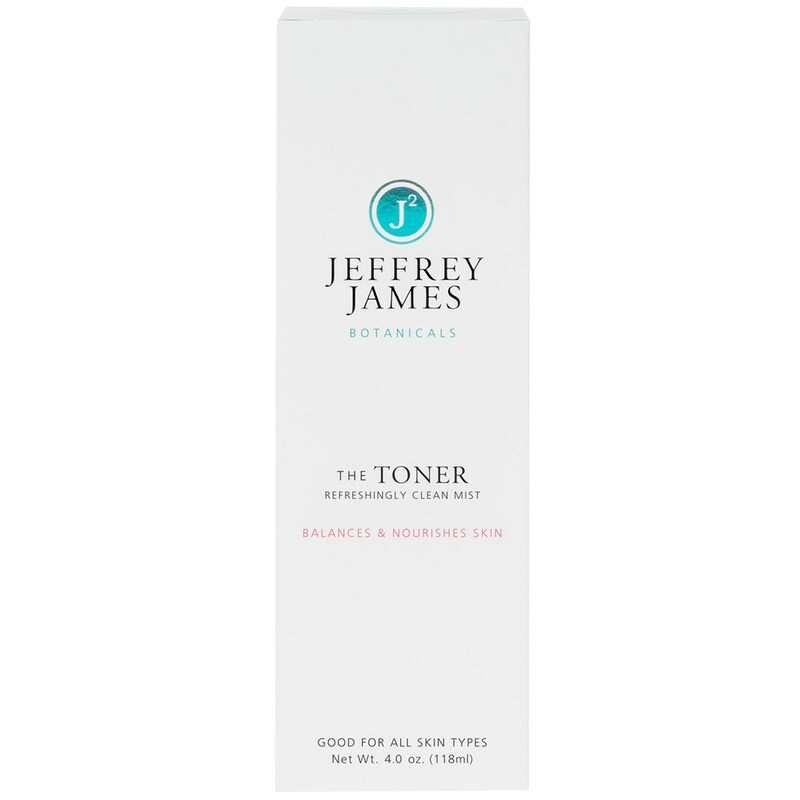 Absorption of serums and creams will be greatly enhanced with use of this product. With a cotton pad, use 2-3 pumps to wipe away the day with a refreshingly clean feeling. Use morning and night after The Wash. For a quick refresh, spray a little on without wiping off. Shake well before use. Mineral water with magnesium, potassium, and silica, organic aloe barbadensis leaf juice (aloe vera), hamamelis virginiana (witch hazel), methylsulfonylmethane (MSM), colloidal silver, lavandula officinalis (lavender distillate), pelargonium graveolens (geranium essential oil), caprylyl capryl glucoside, hydroxyethyl cellulose, carrageenan gum, R lipoic acid, citrus grandis (grapefruit seed), rosmarinus officinalis (rosemary seed extract), sodium ascorbyl phosphate (vitamin C), glycolic acid, 19+ enzymatic concentrate (all from plant sources), camu camu berry, calophyllum inophyllum (oil of tamanu), morinda citrifolia (noni), citrus limon (lemon essential oil), wildcrafted camellia sinensis (green tea), chamaemelum nobile (chamomile essential oil), wildcrafted arnica montana (arnica), melaleuca alternifolia (tea tree essential oil), wildcrafted resina propoli (propolis), daucus carota sativa (carrot oil), tocopheryl acetate (vitamin E), sodium benzoate, potassium sorbate, ethyl hexyl glycerin.